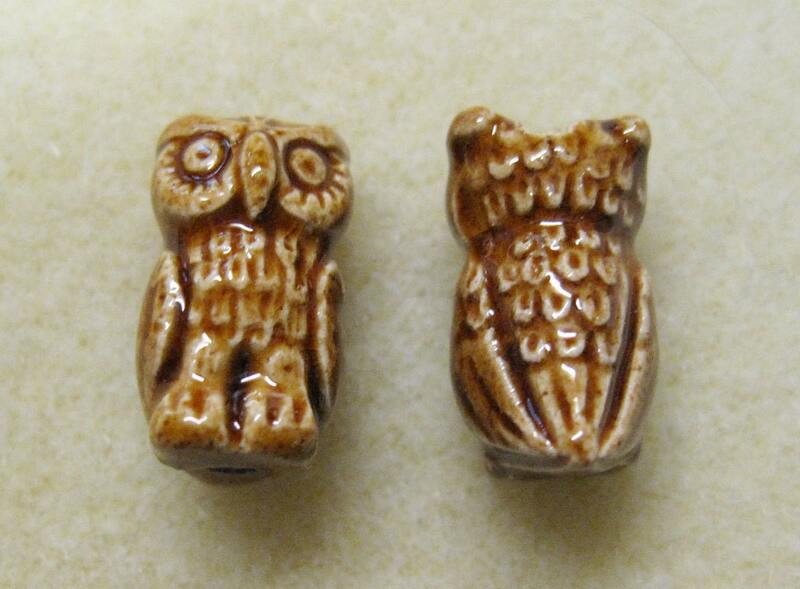 Great detail on these 2 brown Peruvian Ceramic owl beads! These beads are about 18 mm tall, 10 mm across the front, 12 mm front to back. The holes are about 2 mm in diameter. They run vertically, from the head to the base. Hand made in Peru by Peruvian crafts people! Large holes on these beads are perfect for fiber arts - knitting, crochet and weaving as well as kumihimo! Such cute beads! Each is unique. The circle diameter makes them great for all kinds of crafting. These have really nice details and should work great in suncatchers.